Protect your bowling shoes from elements outside and inside! 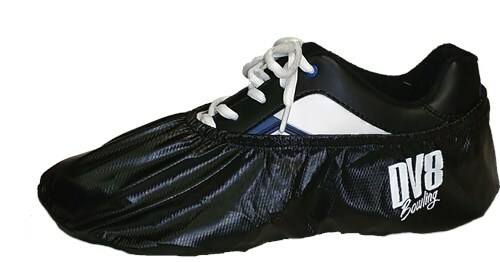 These shoe covers will protect your valuable shoes so you can keep playing the game you love with no problem. These will come in a pair. what material is the DV8? This is made out of vinyl. Yes, it should be able to fit a size 11 in mens. Due to the time it takes to produce the DV8 Shoe Cover Black One Size ball it will ship in immediately. We cannot ship this ball outside the United States.